There is only one story on the back pages of the press on Thursday. 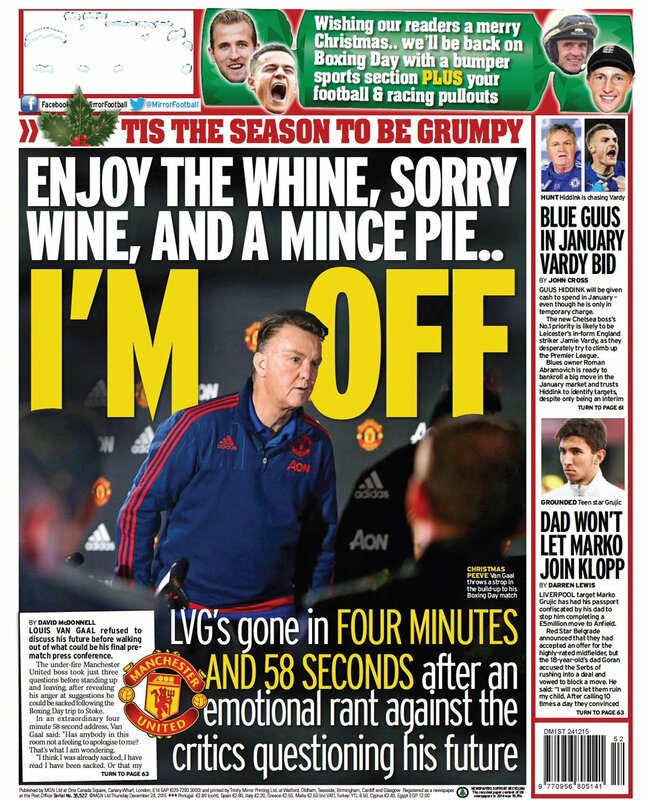 Louis van Gaal’s face graces all the splashes of the papers, after the Dutch boss walked out of his Man United presser before the upcoming Boxing Day match versus Stoke after under five minutes. By now pretty much everyone has seen the footage for themselves, and yet the papers managed to find very different ways to tell the same story. The Mirror are guilty of the gravest clickbait, screeching their splash with ‘I’m Out’ in unmissable yellow. 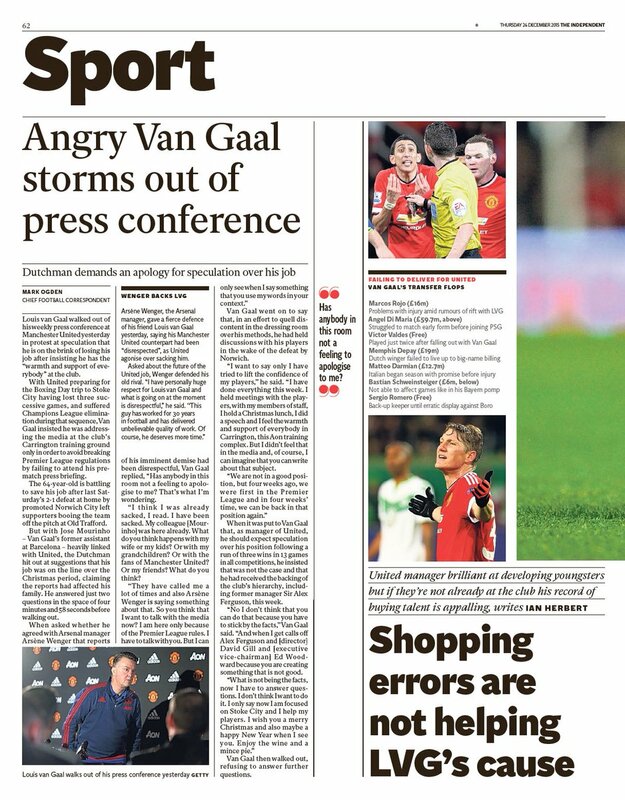 Of course that’s only a misdirection to the wider story of Van Gaal’s outburst. 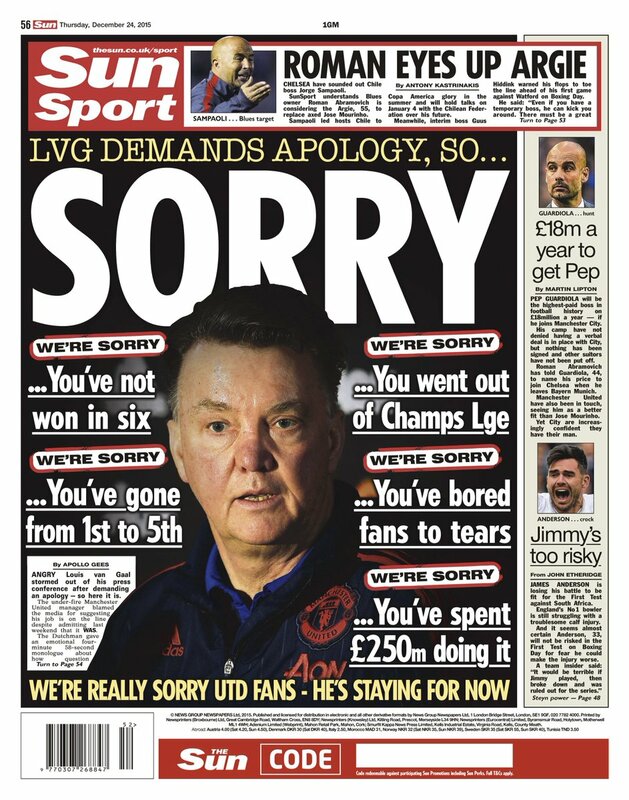 The Sun take on the role as the voice of the Man United fans on their back page. 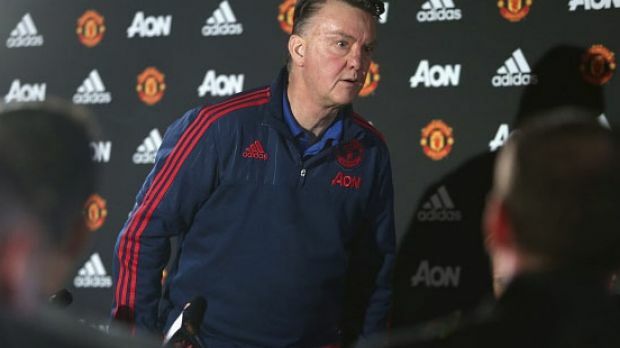 Van Gaal called for apologies from the journalists at his presser as he hit back at media reports that he could be getting the sack. In reply, the Sun sarcastically said sorry to LVG for United’s Champions League exit, their lousy form, and his poor record in the transfer market. Brilliantly the article was written by the Sun’s new journalist called ‘Apollo Gees’. Moving to the broadsheets, the Telegraph also took aim at the Iron Tulip. 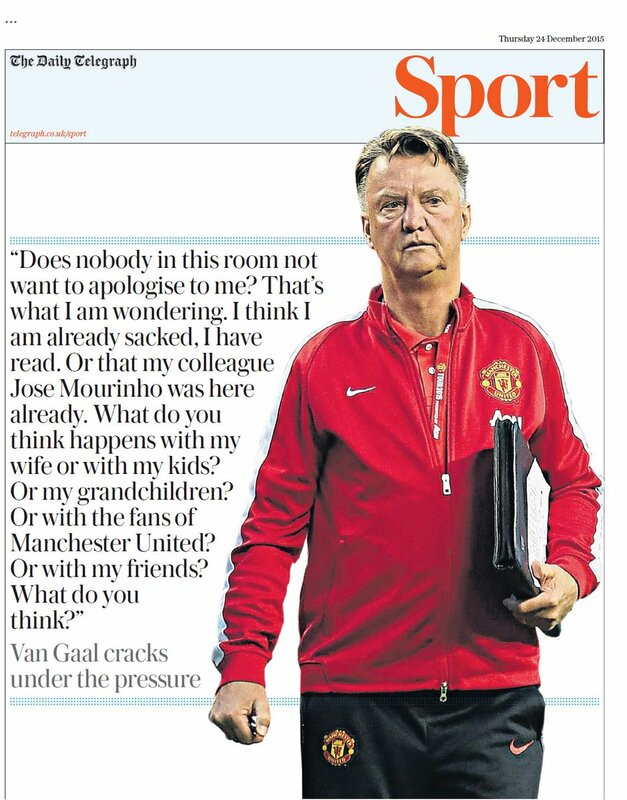 The Telegraph’s approach was to word for word quote Van Gaal, before adding six words: Van Gaal cracks under the pressure. 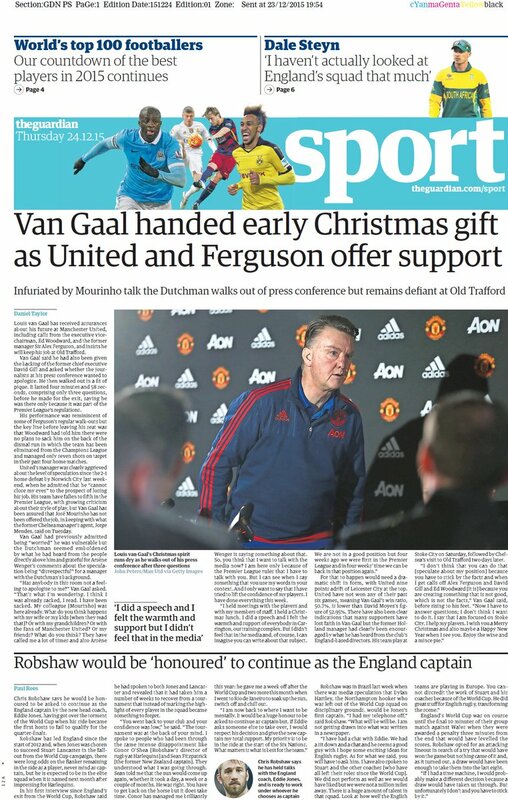 As for the other papers, the Guardian were the most favourable paper to Van Gaal reporting he’s been handed an “early Christmas gift” by keeping his job. 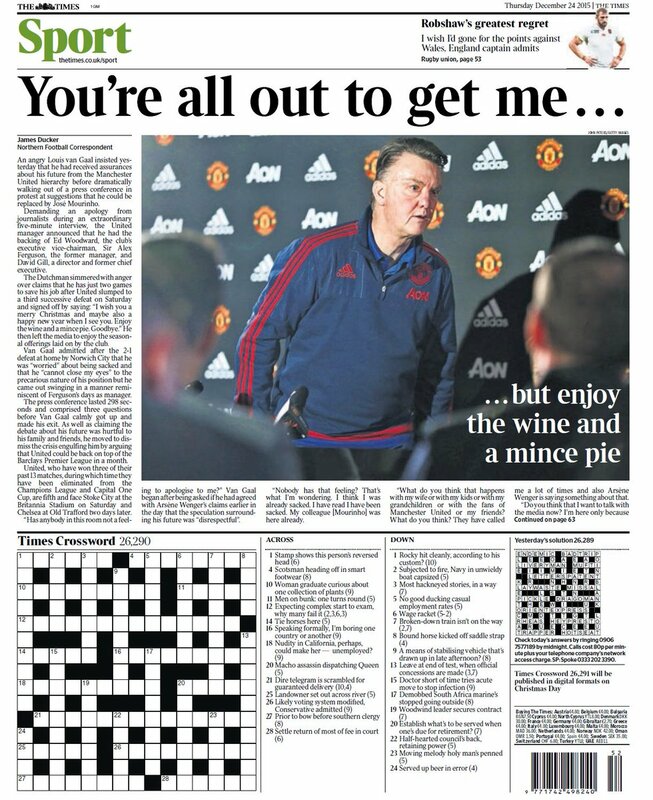 The Times spun the story to paint Van Gaal out to be paranoid, while the Independent just called the Man United boss “angry”.